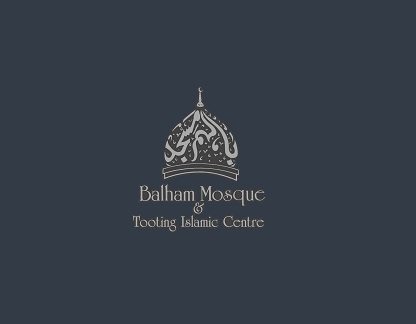 Madrassa Classes (Arabic and Islamic knowledge) are offered at both Balham Mosque and Tooting Islamic Centre. Any enquiries please see contact details below. The Mosque provides evening Islamic classes to children from the ages of 5-15 on Monday - Friday from 5pm - 7pm. Our aim is to provide children with a comprehensive Islamic education, which will complement and enhance their secular education. Admissions and general enquiries can be directed to the Madrasah office which is open from 5-7pm Monday-Friday. Balham and Tooting Madrassah provides Muslim children with extensive Islamic education in order for them to apply, further their understanding and share this knowledge with the wider community. We teach the recitation of the Holy Qur’an, Surahs (Chapters of the Qur'an), Dua’s (Supplications), Seeratun Nabee (The Life of the Holy Prophet Muhammad (pbuh)), Fiqhul Islam (Elementary level of Cleanliness, Prayer, etc), Islamic History, Tajweed (Method of recitation of the Holy Qur'an), Hifz (Memorisation of the Holy Qur'an) and A’alim Classes. There are also several events that are held within the Madrasah in order for children to be able to share what they have learnt such as Mosque assemblies; in which children get to perform recitations, storytelling, poetry and plays. We have an Annual Fundraising event that gives students a fantastic opportunity interact with their family and friends and the local community as a whole. There is a great demand of students at Balham Mosque and we have annual waiting lists for various classes, please enquire with the Madrasah office for more details. There is no admission for students that are below the age of four. This is so that they can start when they are more mentally and physically able to focus in class for a whole session of two hours. Hifz Class (Memorisation of the Qur'an) Information, To acquire the courage to do Hifz of the Qur’an is a very big achievement in itself but in order to obtain this, one must understand fully that self preparation and motivation is essential. Students must be prepared be disciplined and put in regular time of their own outside Madrasah on a daily basis to maintain their practice. Currently the Mosque only offers a Hifz class provision for boys. For more information on Hifz class places please contact the Madrasa office. Examinations and Results Students are examined twice every year and have to undertake a mixture of oral and written tests. External examiners are invited in at the end of year to test students on their oral examinations and grade them on the basis of their Tajweed and Qur’an recitation itself. This determines whether or not they may progress to the next class.